5Pk Apple iPhone 5/5S/5C Screen Protectors Only $3.97 SHIPPED! 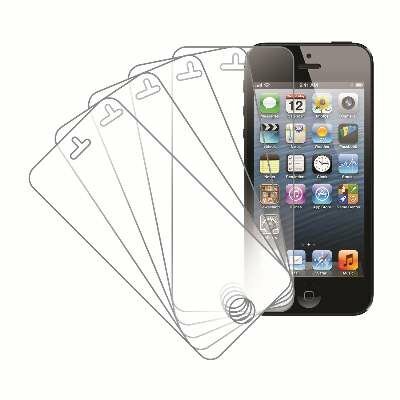 You are here: Home / Great Deals / Amazon Deals / 5Pk Apple iPhone 5/5S/5C Screen Protectors Only $3.97 SHIPPED! 5 Pack of Screen Protectors for Apple iPhone 5/5S/5C Only $3.97 SHIPPED! If you have an iPhone 5, here’s a deal for you! Head over to Amazon and get this MPERO 5 Pack of Screen Protectors for Apple iPhone 5/5S/5C for Only $0.99! And, shipping is just $2.98. Great price since they are originally listed at $21.99. Specially designed screen protector for Apple iPhone 5 / 5S / 5C. MPERO® is a protected trademark.